While I am all for online shopping, for me, nothing beats being able to see cosmetics in person. 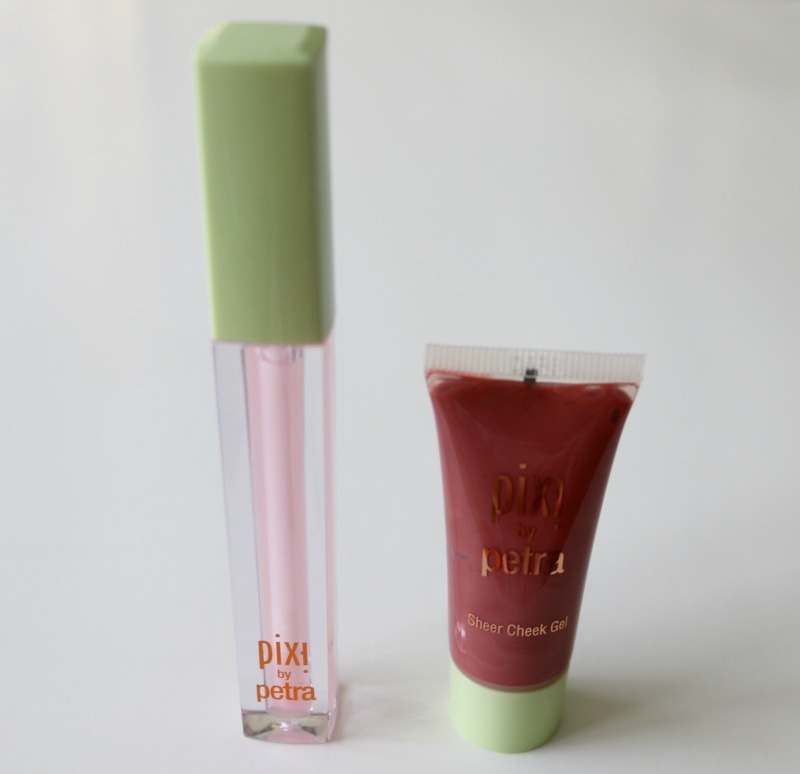 There are a quite a few brands that I've been coveting that have yet to make their way to retail stores north of the US border, and one of them I can now cross off my lust list is Pixi Beauty as they just entered the Canadian market earlier this year! You can just imagine my delight when I found out that the brand is now available at Shopper's Drug Mart/Pharmaprix. Pixi Beauty was launched in 1999 by renown Swedish-born makeup artist Petra Strand. Initially only available in Europe, Pixi made its ways across the pond to the US a couple of years ago where it can be found at Target online and in stores nationwide. Now the Pharmaprix near me tends to not have the greatest selection of products since it is on the smaller side, and making my way to the makeup aisle there was no Pixi Beauty in sight. Disappointed, I turned the corner and to my surprise spotted a stand-alone display next to the nail polish section - score! The first two products I put to the test are from their skintreats skincare line: the Nourishing Sleep Mask* and Peel & Polish*. The Nourishing Sleep Mask is, as you many guessing, an overnight mask - basically a cream that you apply at bedtime and that you rinse off in the morning. Despite being a mask, the texture is still very light and the product has a nice, delicate floral scent. It is suitable for all skin types, and works to heal and provide intense moisture while you sleep. I've been using it every other day, and right after first use I was hooked. Made with arginine, fruit and flower extracts such as jojoba, lavender and geranium oils, it really is packed with the good stuff. I've also quickly grown fond of the new Peel & Polish, an easy to use at home enzyme peel. This exfoliator contains an AHA (alpha hydroxy acid) that reveals smoother and more radiant skin by sloughing off dead skin cells from the skin's upper layer. It has a slight gritty texture and smells very fresh, like cucumber! Key ingredients include witch hazel, sugar cane, orange and cucumber extract and vitamin E. It is a great mechanical exfoliator for those of us with combination skin! I use it twice a week: I apply it on my face and neck and leave it on for five minutes to allow the enzymes to activate. Just before rinsing, I massage it in circular motions for a more intense polish effect. 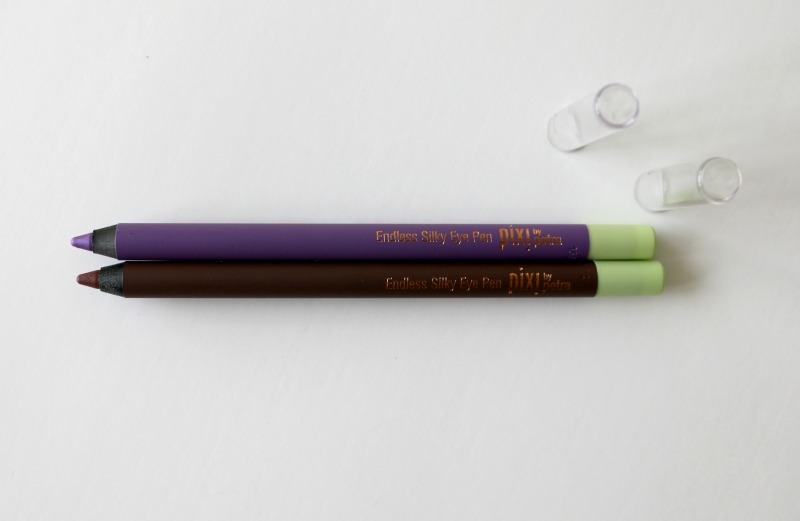 The Pixi Endless Silky Eye Pens* are super smooth and creamy eyeliners said to be waterproof, long-lasting and smudge-proof. I got shades VelvetViolet and MulberryBrown, and have been wearing them together, lining my upper lash line with the first and applying the second on my waterline. I love how the combination makes my eyes pop as you will see below! The formula glides on like a dream and although I did experience some smudging of the brown colour due to my eyes watering at the end of a night out, I am not fussed because that tends to happen with any liner I apply on my waterline. The beauty fanatic in me was super excited to also get my hands on their makeup! I haven't tried many lip plumpers, but the ones I have tried have been hit and miss. 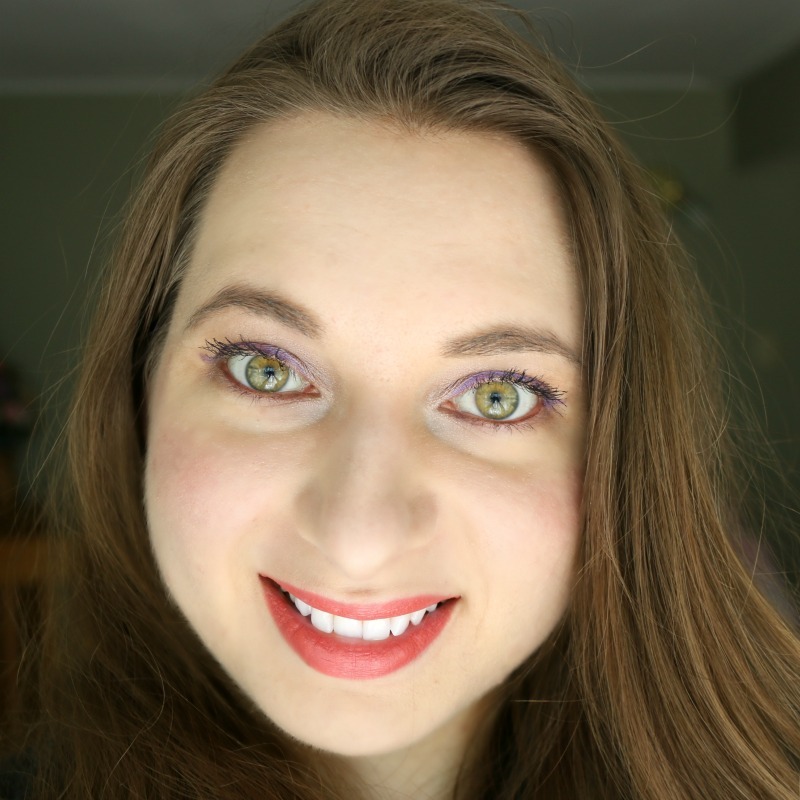 The LipLift Max* which I got in shade Petal Ice is a definite winner! This translucent glossy pink provides an intense cooling and slight tingling sensation to the lips, with star ingredients including aloe, jojoba and chamomile and menthol. The plumping effect is subtle to make your pout stand out just a bit more. I've been using it on its own and under lipstick, and you can also apply it on top of your lip colour for extra shine. The Pixi Sheer Cheek Gel* in Natural provides a pretty flush of rose to the cheeks that can be layered for more intensity. I dot a tiny amount on both cheeks and first blend it out with my fingers, and then go in with a brush to finish it off. The formula is very moisturizing despite being oil-free, and I can even apply it over powder without it disturbing my base makeup or having it emphasize my dry spots. It also lasts and does not fade, even after 8+ hours of wear. 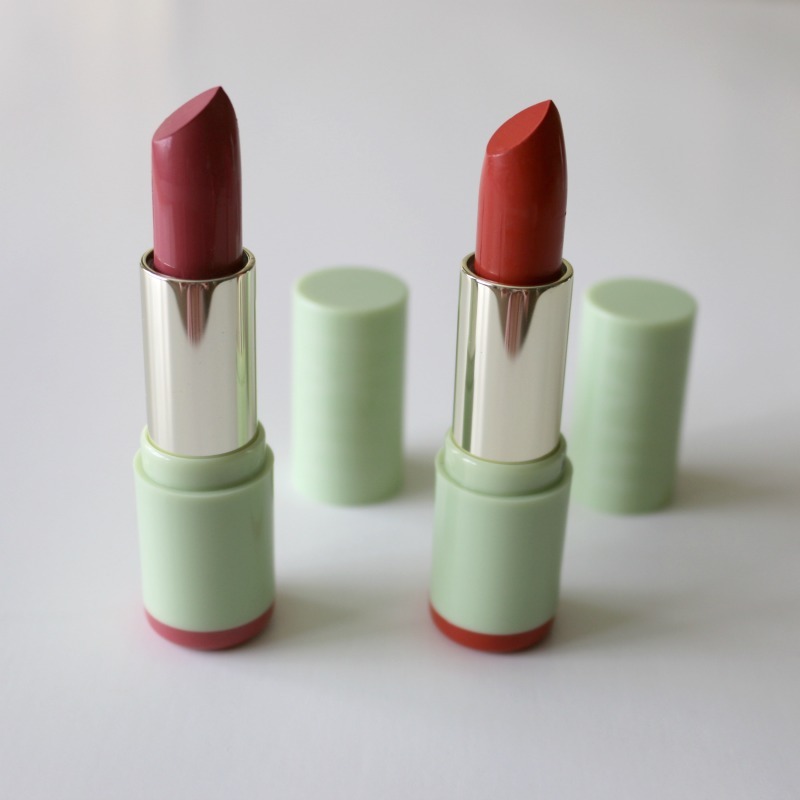 Last but not least, I have two of their Mattelustre Lipsticks* to share with you: Plump Pink, a natural 'my lips but better shade' and Peach Blossom, a coral pink with a touch of orange. 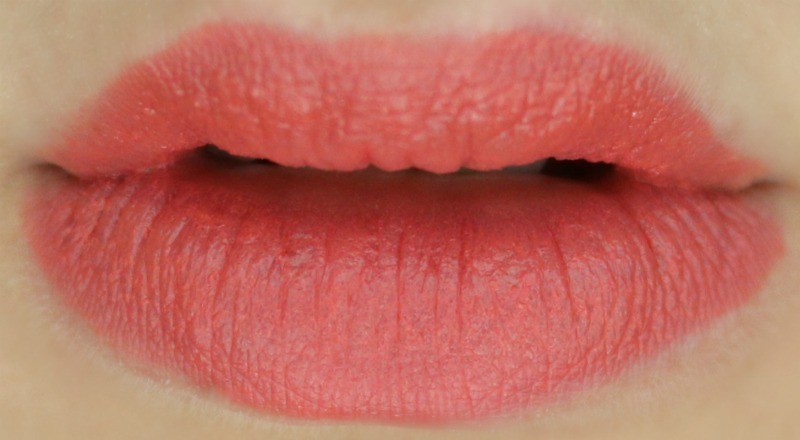 Said to have a plumping effect and provide intense colour with a matte finish, I did not notice much plumping and personally need a few coats to get the colour to really show up, which is also more on the lustrous side than matte, although you can blot your lips after applying to make it look more matte. One thing I was very impressed with is how moisturizing and long-lasting these are - they glide on with ease thanks to ingredients such as hyaluronic acid and vitamins C and E.
Below I am wearing all products, with the exception of the MatteLustre Lipstick in Plump Pink. 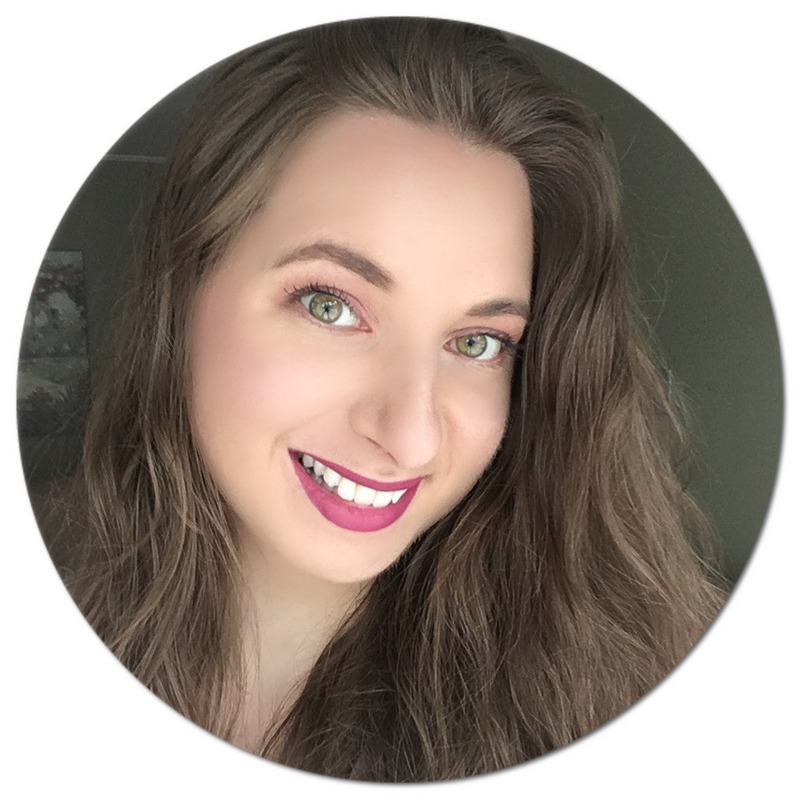 I had pretty high expectations for this brand as I kept hearing such great things, and I have to say I am really pleased with the products I have tried so far and would definitely recommend checking them out! 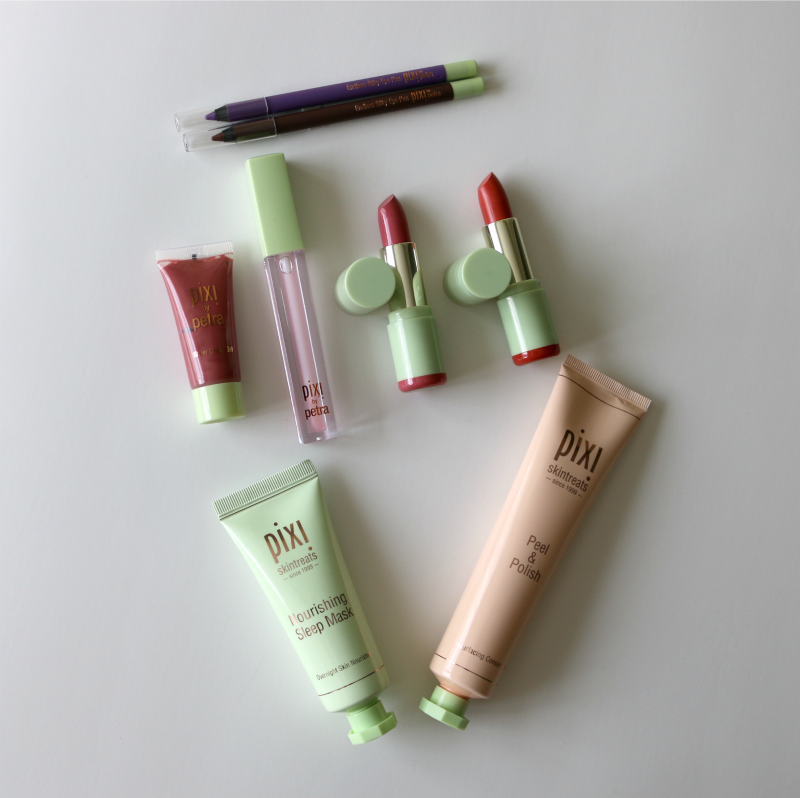 Have you tried anything from Pixi Beauty? Have your eye on any of their products? It sounds like a great company. They have some beautiful colors. I don't wear huge amount of make up so post like this really help me out a lot. I love, love, LOVE Pixi beauty products. Thanks for the heads up on this. I didn't realize that they were putting out skincare products. I'm so jelly! I wish the Pharmaprix in my area have Pixi products. I really want to try the Peel & Polish. The packaging is so cute! I would love to try the Peel and Polish. I need to find a good one for my skin. I definitely want to try the Peel & Polish. My skin could totally use some TLC and this looks like a quick and easy way to go about it. You look so pretty! I used to have some Pixi makeup but it's been awhile. This post reminded me of how much I liked this brand. Time to restock! I just love Pixi! They have some of the best products ever. The look you created is stunning! Beautiful shades! I had never heard of Pixi products before. It seems like a great product though, might have to try to peel and polish! That's really lovely. I have never tried any of their products but I think it's great that you shared your experience with us. It sounds like they're worth it. I've never tried Piki products before. These look awesome. I love the shades of the lipsticks. Wow. Great finds you have there. I have never tried PIXI cosmetics. Maybe because I don't use make up that often? Anyway, I think my daughter and my niece would love these. I would be interested in the lipstick though. Those Mattelustre lipsticks look really great! Nice post.When we talk about beauty in people. we often refer to their physical attractiveness. Of course, a beautiful or handsome face is pleasant to look at and by choosing right products we can maintain our beauty. Thanks for sharing such an amazing information. I have to confess that I haven't ever tried Pixi Beauty products but I have always wanted to!! Great post!! Glowing skin is a dream for almost all women. Fairness creams for women are usually designed for wrinkles and aging signs problems. But we never get that prefect glow. I suggest to use best lifecell anti aging skin cream that really works for all kind of skin related problems. Looks like a great brand of make up! I love the lipstick, those Mattelustre kinds. I am a big fan of matte make up. It just looks more natural for me. Thank you for your honest review. I have just recently discovered Pixi and it is a really great beauty brand. I love the price point and the makeup stays put even when I am running around after my kids. 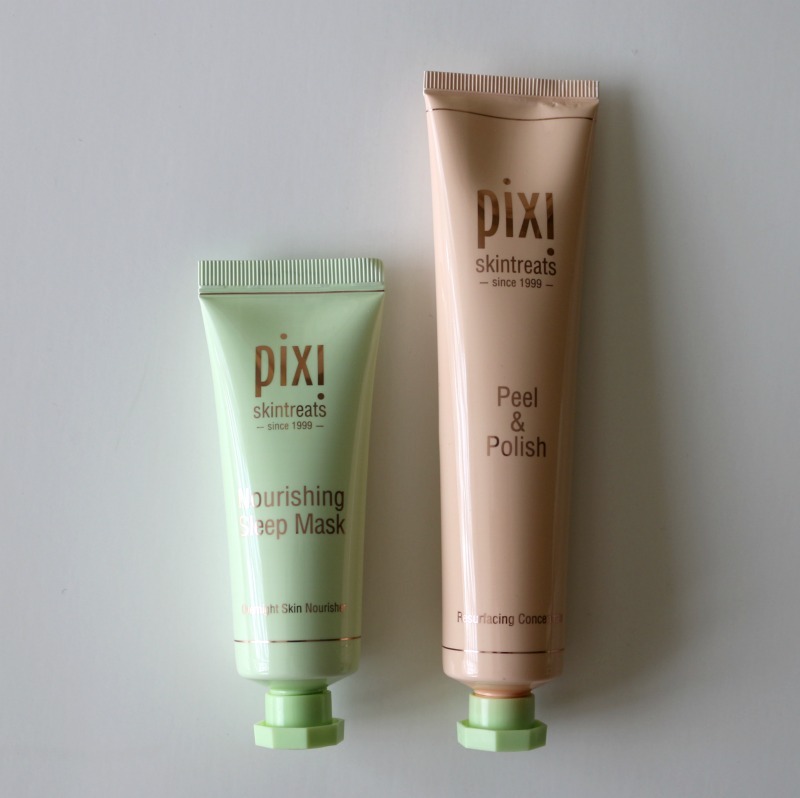 These Pixi beauty products are something I never tried. Pixi Endless Silky Eye Pens and the LipLift Max are two I would love to try. Thanks for sharing these products. Oh my goodness, I love that purple! It looks so amazing and vibrant! I honestly don't use makeup often. However, I've had the opportunity to try Pixi and I really enjoyed their products! These are some nice colors. I don't wear a whole lot of makeup myself. I do love those lipstick colors a lot though. I am glad that you like them. I have been hearing a lot about this brand as well and would love to give them a try. oh those looks awesome. i love makeup. i'll have to check some of these products out. Those are pretty lipstick colors. I haven't tried the pixi line yet. I should give it a try and tell my daughter about it. I would love to try the enzyme peel and sheer cheek gel. This line looks really nice, and the have some great products. I would have to say that it is probably not for me, but it looks good on you. I am not a huge fan of makeup anymore anyhow. My daughter would love it though. This is one of my favorite brands of makeup. I have a wonderful lipgloss from them that is my favorite color ever! I have not heard of this brand before. I'm intrigued. I'd love to try that mask. And those lip colors are great! I have not heard of the PIXI brand before. However, I need those lip shades in my life! I am obessed with these beauty collections especially the pink lip gloss. Apart, from these I also liked the pixi one. I heard that this one is a great brand. I hope it's available in the Philippines! I have not tried Pixi yet but I really do. I always see it in the store and shared online so it is definitely something I want to try and see if I love. The peach blossom lipstick looks great on you. I have never tried any of these products you have here. I am always really happy with Pixi products since the price is night and I see them at Target now! Isn't a matte lipstick so much more beautiful than a gloss. And you can wear a much wider range of colors. That purple liner looks worth the try. I wonder how pigmented it is. Is it super pigmented on 1 swipe? Yes! I apply 2 just to make it extra opaque. I have tried this make-up and it gave me a really elegant look. It's so light and seemless that I could easily carry it with casual as well as formal look. I feel that to keep skin happy and healthy, the most important thing is being natural with the skin. Use the suitable skin product under proper guidance. I've tried a few of the Pixi products and have really enjoyed them. I believe they sell it at drug stores in the US so can't wait to check out the products you have reviewed above.